I barely made it an hour into the story...which really isn't so much a story as a self aggrandizement of the author. If you're looking for a lesson as the preview promised, this isn't it. Decent story line, poor narrator. Unless the price was reduced, I would have a hard time recommending it. The plot was a bit thin and many of the characters were just superfluous. The "Chas" character was completely unnecessary and added nothing to the book. The beginning sequence covering Rick's conversations with his dead family were just plain weird. The ending was completely predictable. His reading style was extremely monotone and detracted from following the story. Most of the character voices were good, but a few were really irritating. Was Seven Days worth the listening time? Probably. If it's on the "sale rack" otherwise it's not worth the full price. Definitely use a different narrator. The story was like one of those disaster movies where the onslaught of catastrophe's is just relentless. A disconcerting listen. Also, in multiple spots the editing overlaps and the narrator repeats the same couple of lines twice. If you’ve listened to books by Farrell Kingsley before, how does this one compare? Have not listened to any of his other books. 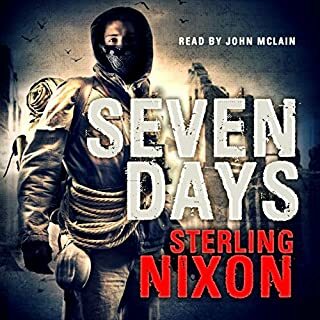 This narrator used a tone and reading style that just drove me crazy. Speeding up when he shouldn't slowing down when he shouldn't, and using voices for different characters that just did not fit. A couple of the voices he used grated on my ears like fingernails on a chalkboard. 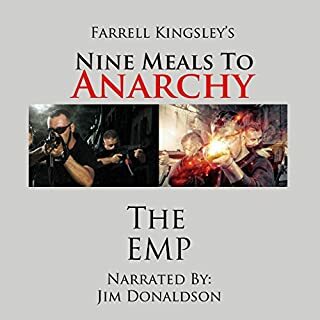 Was Nine Meals to Anarchy: The EMP worth the listening time? Not really. Between the style used by the narrator, and the poor story line, I turned it off with over 2 hours to go. Just couldn't spend anymore time trying to follow it. 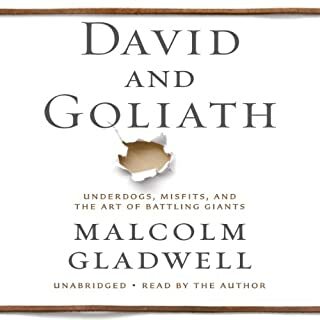 I have always been an advid reader of Gladwell and believe that his other works are required reading for any business person. 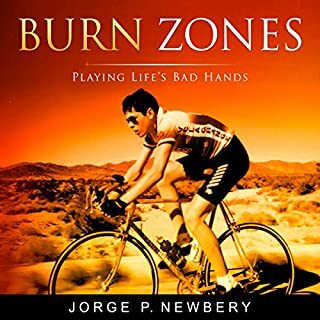 While the premise is good, the book is way too long and digresses from the subject matter so often that I found myself fast forwarding through parts that just made no sense to me. And it pains me to admit that I was disappointed. What is an entrepreneur? In the strictest sense of the word, an entrepreneur is someone who creates and runs a new business. These are the risk takers, the people who are willing to think outside of the proverbial box and push themselves to attain something new. Yet a true entrepreneur is more than simply a business owner. Most entrepreneurs are born with an innate desire to do something great, to become something more or to lead others to greatness. 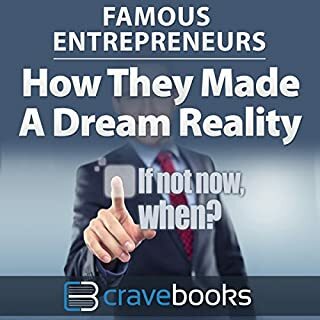 What did you like best about Famous Entrepreneurs? What did you like least? It was a quick read but pretty thin on drilling down into the circumstances that lead up to the individual successes. Probably would hold the attention of younger folks but I need more to hold my interest. The United States is more vulnerable today than ever before - including during the Great Depression and the Civil War - because the pillars of democracy that once supported a booming middle class have been corrupted, and without them, America teeters on the verge of the next Great Crash. The United States is in the midst of an economic implosion that could make the Great Depression look like child's play. What disappointed you about The Crash of 2016? This book is written from the standpoint of a socialist and blames everything bad that is to happen on evil capitalism stealing from the naive middle class. Don't waste your money on it like I did. 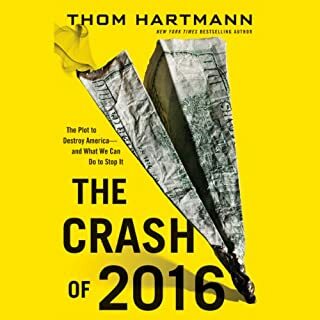 Would you ever listen to anything by Thom Hartmann again?